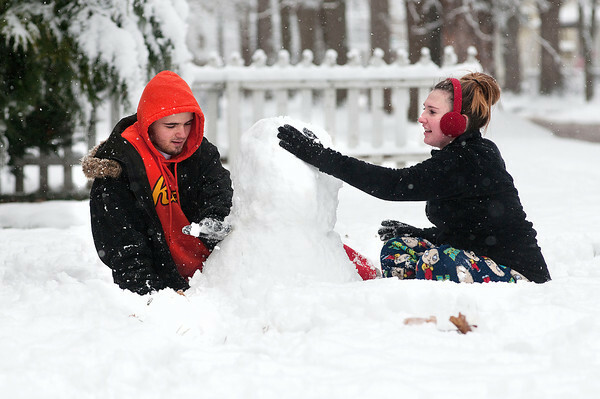 James Neiss/staff photographerNiagara Falls, NY - SNOW DATE: Doug Freeman makes a snowman with his guest Kayla Bottom, in front of his Whitney Avenue home. The two high school students were of for the holiday. Wednesday morning was a picture perfect winter wonderland in many communities after the first major snowfall of the season.